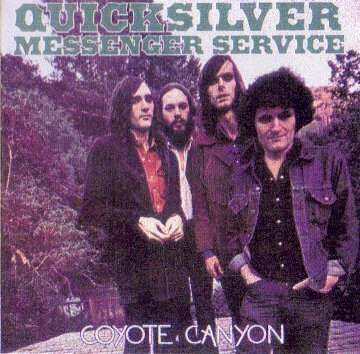 This may be the earliest known live performance of the Quicksilver Messenger Service. It does not appear to be circulating. I transferred it from a cheap 1980s cassette which was labeled as The Matrix, SF, mid '66. I was able to find information on the Internet which narrows the date down to August 9-10, 1966. I don't know which date this is, and there are several cuts in the tape, so it could be from both dates. Since there are no duplicate songs, I assume it's all from one night, possibly multiple sets. Interesting to me, and possibly confirming this as an early show, are the lyrics to track 14. 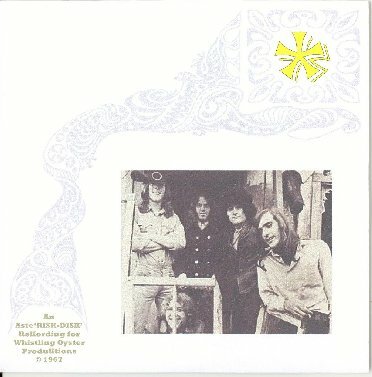 "Hair Like Sunshine" is on several other Quicksilver recordings, but on this one, the lyrics are completely different for the first part of the song: no Hair Like Sunshine, for example. The second part of the song is as usual. Track 2 is also unique as far as I know, and I'm not sure of the title. The source tape had tracks 7-16 as Side A and tracks 1-6 as Side B but I switched them; seems more correct with the incomplete Mona at the end. Tracks 1-6 sound slightly better too. Recording quality is listenable but not great. This is a very primitive stereo soundboard tape. The main problem is lack of treble combined with an abundance of hiss. I rolled off the high frequencies and boosted the midrange for a little bit of an improvement. I've heard worse, and this appears to be pretty unique at the moment. Anyone got a better copy?
. Printed in USA . Ci scusiamo per la eccelente qualita sonora di questo disco, realizzato da registrazioni di fortuna dell'epoca. Diese Tonaufnahmen wurden mit Amateurgeraten gemacht. Die Qualitat entspricht nicht der herkommlicher Studioaufnahmen. 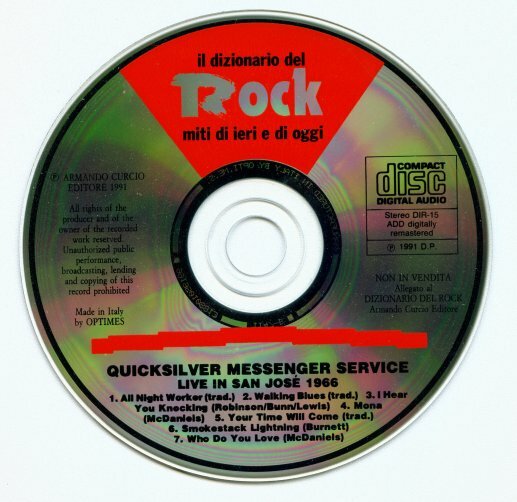 Strano destino, quello dei Quicksilver Messenger Service. Messaggeri di nome e fatto di quell'amore californiano consumato in poche estati e molte ingenuita, non hanno mai ottenuto popolarita al loro o a quello gruppi di successo con i quali dividevano vita e concerti. Grateful Dead e Jefferson Airplane, tanto por non fare nomi, Cipollina, Freiberg, Murray, Duncan, Elmore paiono col senno di poi pescatori assopiti all'ombra dell'ultimo sole di San Francisco, felici di versare il vino e spezzare il pane per chiunque avesse un solco lungo il viso come una specie di sorriso. Questo chiedevano, questo gli e stato dato. Nulla di piu. Eppure Happy Trails, registrato quasi interamente dal vivo, denso di cavalcate psichedelice, con gli strumenti di Cipollina e Duncan che si dichiarano guerra, si rincorrono, si intrecciano, per poi lasciarsi e nuovomente unirsi in abbraccio, e con i ritmi ora morbidamente jazzati ora ferocemente tribali, eppure Happy Trails trasuda di California come forse nessun altro disco del periodo. 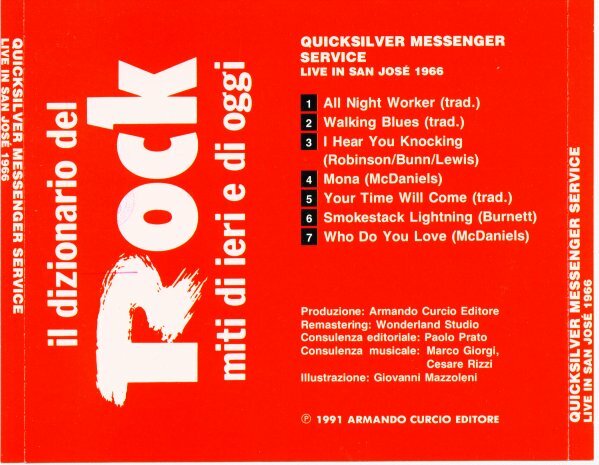 Eppure le canzoni dei Quicksilver, a partire dalla versione lunga 25 minuti di Who Do You Love che avra turbato il sonno di Bo Diddley, sono gioielli di rock visionario con montature spagnoleggianti, free jazz, acustiche o furiose. Eppure il loro suono non si e perduto nel nulla, se persino i Television li hanno consultati per sintonizzarsi sul canale giusto. L'insuccesso (in termi di massa, perche i Quicksilver godono ancora oggi di un norevole culto) e mistero doloroso per tutti meno che per loro. Sgranar rosari non serve, ma questo limpido concerto del 1966, tra le dorate colline di San Jose, e come Parigi. Val piu d'una messa. 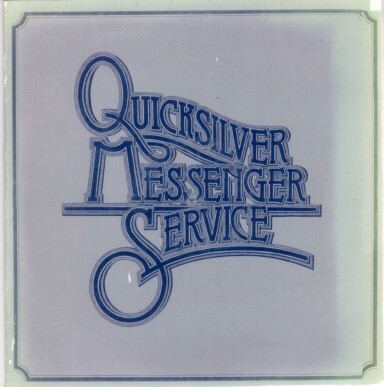 What a strange destiny for the Quicksilver Messenger Service. Messengers, in name and in deed, of that Californian love which burnt out within few summers and much naivety, they never enjoyed a degree of popularity for their own group and for those successful groups they shared life and concerts with. Grateful Dead and Jefferson Airplane, just for instance, Cipollina, Freiberg, Murray, Duncan, Elmore are, with hindsight, like fishermen who got sleepy at sunset in San Francisco and happy to pour out wine and break bread for anyone with a wrinkled face just like smiling. That's all what they asked for, that's all what they got. Nothing more. Nevertheless Happy Trails which was recorded almost entirely live, is full of psychedelic "raids" with Cipollina's and Duncan's instruments fighting against each other, chasing one another, joining together, leaving each other and embracing each other again, sometimes to a soft jazz-rhythm sometimes to a savage, tribal beat; and yet Happy Trails ooze with California perhaps more than any other recording of that time. However the songs of the Quicksilver, beginning from the 25-minute version of Who Do You Love which may perhaps have troubled Bo Diddley's sleep, are jewels of visionary rock with Spanish echoes and free jazz, acoustic or furious accent. And yet their sound didn't vanish if even the Television looked them up in order to get tuned on the right channel. Their failure (in terms of mass, because the Quicksilver even nowadays enjoy a remarkable degree of cult) is a painful mystery for everybody but themselves. It is no use to tell their beads, but this limpid concert in 1966, between the golden hills of San Jose, is like Paris. It is worth more than a mass. 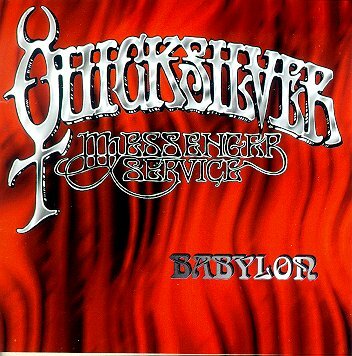 "here's a handful of Quicksilver tracks i've had for many years. i haven't seen these particular versions around. included is a great unreleased take of The Fool with acoustic guitars and a nice violin solo by David Frieberg. also included is the Camaro ad which was on the Marin County Cowboys boot collection. the remaining songs are different than other versions i've heard. i gave them a close listen and compared them to the official tracks on the first CD and the Lost Gold and Silver collection and they are different. i have some other songs too but did not include them as they are the same as the released takes. enjoy, dave"
This set is generally circulated as 9/14/67 but that date can't be right. Jim Murrary was gone by 8/18/67, according to Faren Miller's Quicksilver Diaries, which are available on the Cipollina Yahoo group. Therefore, I picked a new date. I chose a September 1966 Fillmore date, 9/4/66, with the assumption that someone got the year wrong years after the event. Possible further confirmation of the year is that the recording is mono, whereas the great Feb. 1967 Quicksilver Fillmore West soundboards are stereo. If this were truly Sept. 1967, it should be stereo, I would think. Note that this version, which is from a cassette and not any previous digital source, includes Dino's Song to begin the second set. This song is missing from most circulating versions. As for the recording quality, it's pretty good soundboard. However, the vocals are too loud compared to the guitars. The tape was pretty hissy so I rolled of the treble over 10kHz and used some light digital noise reduction in Adobe Audition. There are some artifacts, esp. on the cymbals, but I think the tradeoff was worth it. The cassette also included four other songs. Two I was able to identify as having already in slightly better quality on "Marin County Cowboys," so they aren't included. The other two are included here as bonus tracks. All Night Worker is a similar recording to the "Live in San Jose" September 1966 version, but it's different. Pride of Man, judging from the applause at the beginning, may be a TV broadcast. If anyone has a better version, please seed it. 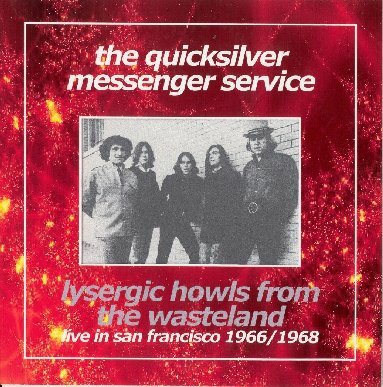 The intro is just "The Quicksilver Messenger Service"
The sound quality of tracks 8-12 is different from the others, so I assume they're from the Dr Sunday's show. The track sequence matches the first 5 tracks of the 7-track Dr. Sunday's Medicine Show, Family Park, San Jose, CA, October 8, 1967. * rare rendition of "runaway"
The sound improvement of this source is that, finally, there is only a little hiss on this tape, and no drops, compare with all the others tapes in circulation... Still you have the same little distortion in some points like all the others sources in circulation. Also this tape contains "Pride Of Man" not included in many others tapes of this show. First generation reel to reel (revox) > amplifiers > tascam audio cdrw750 > cd > computer > plex tool professional XL > wav > flac. No EQ was used this time, tape not needed any... just a raw recording like it originally was done. Transfered, remastered & uploaded by 38f on Dime 2006. Soundboard ? > ? cassette > DAT > CD > Plexwriter PX-W4824A extraction (EAC v0.9 beta 4) > sector boundary verification (shntool v1.01) > level 8 FLAC encoding (Flac Frontend v.1.7.1 etree edition) > CD. - Clean but oversaturated soundboard. Based on the provenance and on the level of hiss, I would guess that the true lineage is MSR > C > D > CD, but I cannot confirm that. - The fact that Babe I'm Gonna Leave You appears in both "sets", and comment #4 (below) make it seem likely that this material comes from more than one date, though I have no idea whether or not QMS at this stage might have played the song twice in one night (e.g., in early and late shows). - I have some questions about the order of the songs for the late show. The order in which they appear here corresponds to the order written down on the labels of the digitized cassettes, but *not* to the actual music on the cassettes, which was as follows: Hoochie Coochie Man, Babe I'm Gonna Leave You, Gold & Silver, Stand By Me, Pride of Man, Got My Mojo Workin', You Don't Love Me -> Suzy Q. I was encouraged to keep that order, but have decided to put things as they were originally labeled, for one single reason: the banter corresponds much more closely to the written order than to the actual order on the tapes. This is most clearly true for banter #6 (before Pride of Man). Also, the tuning before Mojo Workin' seems consistent with the start of a set/show. But not a note of this material was edited, so one can still re-arrange the material as originally laid out. - (1) "It's called Hair Like Sunshine, it's written by Jack Sheldon (?). Do a song that Jimmy wrote next called 'I Hear You Knockin''." - (2) "Do a folk song next called 'Babe I'm Gonna Leave You. A real honest-to-God folk song." "Folk rock, is what it is." "Well ... try to keep up on everything." - (3) We'd like to dedicate this first song to Muddy Waters. It's called "I Got My Mojo Workin'.'" - (4) "We got a request to do a song called 'Babe I'm Gonna Leave You'." - (5) "We'd like to do a song now called 'Acapulco Gold & Silver'. It's a [sic] instrumental, nobody ever sings on it." - (6) "We're gonna do one more song, and then, uh, this thing's gonna be over, and it's called 'Pride of Man'. It's written by Hamilton Camp, and it's about, uh, it's about some kind of religious thing. I don't know. I don't wanna get involved." "See, see, last song. After this everybody, good night." MSR? > Teac X-300R 1/4 R2R playback > unknown model HHB CDRW/0 > unknown drive extraction (Easy CD-DA Extractor) > tracking (CD Wave) > CD/1 (Easy CD Creator) > Plexwriter PX-W4824A extraction (EAC v0.9 beta 4) > sector boundary verification (shntool v1.01) > level 8 FLAC encoding (Flac Frontend v1.7.1 etree edition). EAC >> FLAC by jjoops. - A fair number of crackles and such throughout, some possibly digital in nature, but overall sounds very nice, the best sounding copy of first album outtakes I have come across. - Cipollina's reels are believed to be masters, though it is possible that they aren't and that there are additional (reel) gens here. Thanks to the generous provider of this great stuff! 1st generation reel to reel (revox) > behringer ultra curve pro deq 2496 audio equalizer > amplifiers > tascam audio cdrw750 > cd > computer > plex tool professional XL > wav > flac. Transfered, remastered & uploaded by 38f on Dime September 2006. "Ok since I removed my previous QMS torrent for the reasons I explained, here another great sounding and interesting show for you guys... there are 3 songs with Dino Valenti just out of jail, and some songs that QMS only few times played... enjoy it..."
- Clean but oversaturated soundboard of a historically interesting show. It is possible that the second cassette was Dolby C encoded. 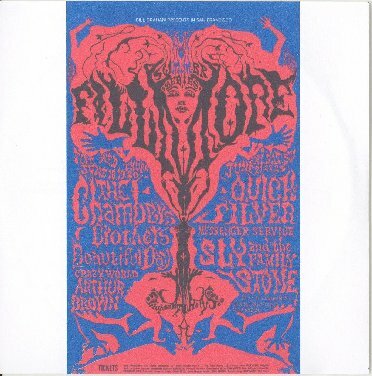 "Recording split in the middle (d1t9 - d1t15) by another concert - I presume Fillmore February 1967 since they mention the Airplane + Valenti and I have that poster on my wall"
I got it as a soundboard, but i think is it a super quality audience. Master reel to reel > eaqualizer > cd > eac > wav > flac. This recording sounds to me like one channel soundboard and one channel audience, as do other circulating tapes from this club. It's definitely got an ambient sound with quite a bit of tape hiss but sounds fairly decent - especially after the speed correction. Pitch-adjustment - slowed by 4.2% (minus 1 semitone plus 25 cents in Pro Tools). Evened out some level changes. Channel dropouts eliminated when possible or improved by pasting in from the good channel with crossfades between the stereo and mono sections. Also seamlessly removed transient noises in a few spots and retracked with one set on each CD. No additional equalization beyond the minor EQ that was done before the previous upload (see below). New Flac files created with xACT (sector boundaries verified). md5 file created with checkSUM+. Because questions often come up, here is some info about the pitch adjustment process: When a recording is noticeably off pitch or when 2 sources of a recording don't match in speed, first gather together released or other pitch-verified versions of as many of the songs in the set that you can find. Then import them all along with the tape to be adjusted into a music editing software program that can edit more than 2 channels at a time. Keep varying the speed adjustment around until all comparisons sound correct. Usually the key of a song will not change even if it is a different artist doing the song or with a completely different tempo and arrangement. You just will probably find the comparing easier when it is the same artist and arrangement. The tuning can be also verified with a keyboard that has a pitch-bend wheel. When the pitch has to be "bent" to sound correct it is still off-speed. I should mention that this process is especially easy in Pro Tools, because the songs can be put right next to each other and you can preview your adjustment and then hit the space bar to hear the "reference version" right after it. That way the correct speed can be decided upon before finally adjusting the complete recording. To avoid sector boundary errors, the entire recording must be speed-corrected together and then retracked. "* According to Joe Jupille those 3 songs were possibly from a different date, but i'm 99% sure those songs are from this show, because my tape has no interruptions before those 3 songs and the quality of the recording is identical to the others songs. 1st generation cassette > behringer ultra curve pro deq 2496 audio equalizer > tascam audio cdrw750 > plex tool professional XL > wav > flac. Lou's Notes: Probably one of Jim Murray's last shows as he supposedly quit in October 1967. I received this as an audio weed split into 9 tracks. The 9th track was the entire 2nd set. The 8th track was not on the original setlist received or on the bootleg info I found, so I wrote it in. I took the 2nd set and split it into separate tracks and then re-tracked the whole show. Other than that, I didn't do much other than raise the volume and take a bit of the dead space out of some of the track intros. I then converted to flac. 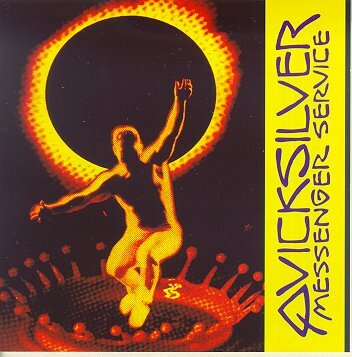 If you've bought this CD you're probably familiar with the Quicksilver saga. A little background may be appropriate, however. The embryonic Quicksilver formed in late '64, nominally as a back up band for itinerant folkie Dino Valente. 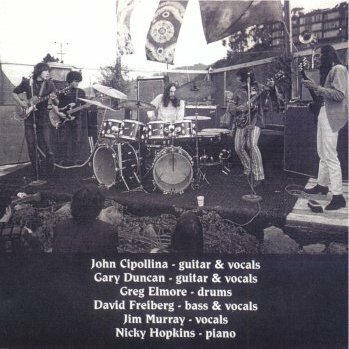 Unfortunately (or not) Valente got busted and was sent to jail, leaving the band, which comprised John Cipollina, guitar; Jim Murray, guitar/vocals/harmonica; Casey Sonoban, drums; Skip Spence, guitar; and David Freiberg, bass, on their own. Without much motivation, they occasionally rehearsed at the Matrix, where, in the summer of '65, Marty Balin poached Spence for the Airplane and turned him into a drummer. By the fall Of 65 Sonoban had drifted off and Freiberg was also busted and headed off to jail. 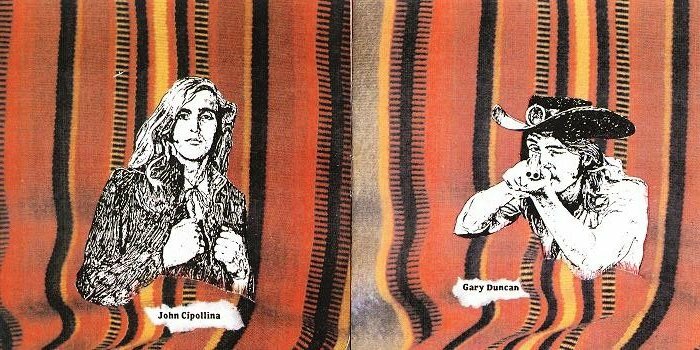 Around this time the San Francisco scene was getting started, and at one of the early dances Cipollina and Murray met Greg Elmore and Gary Duncan from an East Bay band called the Brogues. Elmore was a drummer, and Duncan played a little guitar, and they agreed to join up with Murray and Cipollina, along with Freiberg, who was due out of the slammer before the end of the year. 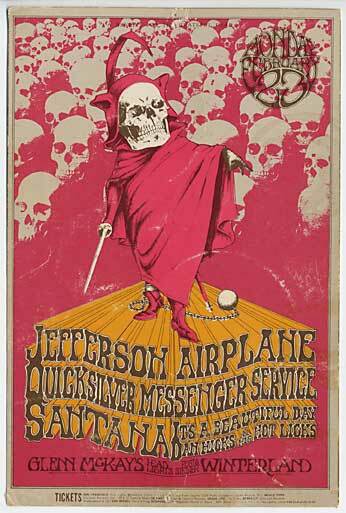 It was this line-up that became Quicksilver Messenger Service. After a slow start they gradually became house favorites at the Fillmore and the Avalon. 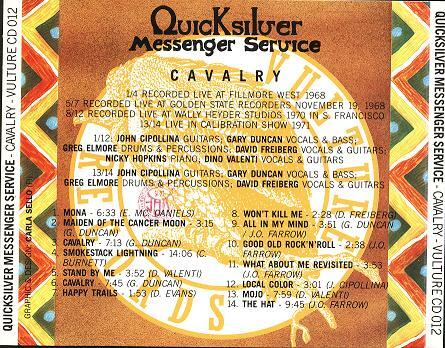 So what better way to start this CD than with a very rare radio commercial for a Quicksilver show at the Avalon - specifically November 25-26, 1966. One of the many problems surrounding old tapes that circulate among fans is whether the listed recording date (if there is one at all) is correct. Such is the case with the first batch of songs on this CD, where a close scrutiny of the material suggests that the accepted date is wrong. The tape in question, purporting to be from the Avalon Ballroom September 9, 1966, usually of poor sound quality, has been around for years. A new and vastly superior-sounding tape was located for this CD, but no new information about its origins was available. So the question remains: When and where was	it recorded? Although there is no internal evidence to suggest the venue, the Avalon is actually a good bet - QMS played there over seventy times and a great many Avalon shows were recorded by the Avalon's soundman, Bob Cohen. The date, however, is more problematic. 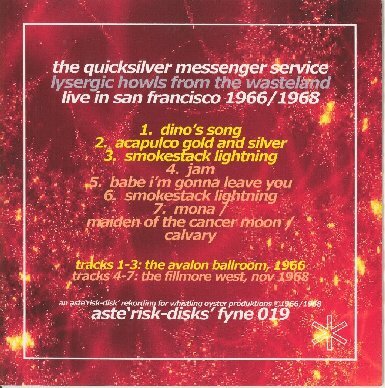 Quicksilver did indeed, play there on the night in question, but there are several reasons to wonder whether the tape comes from that show. Most significant is the fact that Jim Murray was still in the band in September '66, and yet he does not appear on the tape at all. Also, the band sounds much tighter and better rehearsed than it did during Murray's tenure with them. And although Duncan plays nothing but tambourine on a couple of tracks, he is clearly playing much more guitar than he did when Murray was around. They sound, in effect, like a quartet rather than a quintet with one member taking the night off. Assuming it was recorded post-Murray, who left around October '67, then the performance was recorded at least a year later than previously thought. But without any more definitive information, it's impossible to be precise. The only further clue is that "Smokestack Lightning" is much shorter than the 15-minute epic it became in '68. Consequently, my feeling is that the real, if still vague, date is probably late '67 or early '68. impassioned vocals. It starts with "Stand By Me," one of two Valente numbers recorded by the band before the singer-writer became a full time member in 1970, The song became the A side of a (then) non-album single backed by the atypical, but fun, "the Bears." "Babe I'm Gonna Leave You," "Codine," and "Pride of Man" were all songs that David Freiberg had sung during his pre-QMS folkie period and subsequently brought to the band. 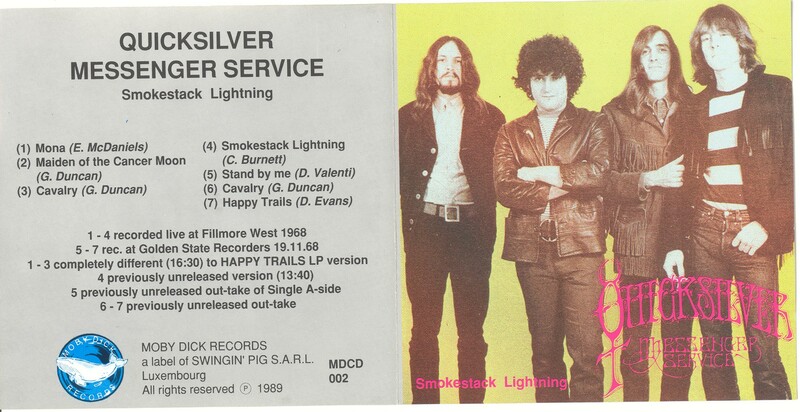 While versions of all three were performed by other artists (notably Led Zep's version of "Babe") Quicksilver's renditions remain definitive. All three were recorded by them, the first two appearing on the soundtrack of the documentary Revolution. (As an aside, it's worth noting that Quicksilver's all too brief appearances in the film were shot at the Fillmore while Murray was still a member, whereas the re-recorded versions that appear on the soundtrack album were cut after his departure.) "Pride of Man" became a centrepiece their first album - although whether the addition of the Electric Flag horn section was a good idea is still a matter of debate. The song appears here in all its unadorned glory. "Smokestack Lightning" and "Hoochie Coochie Man" are, of course, blues classics originally recorded by Howlin' Wolf and Muddy Waters respectively, but subsequently covered by just about every white blues band, especially the English ones. 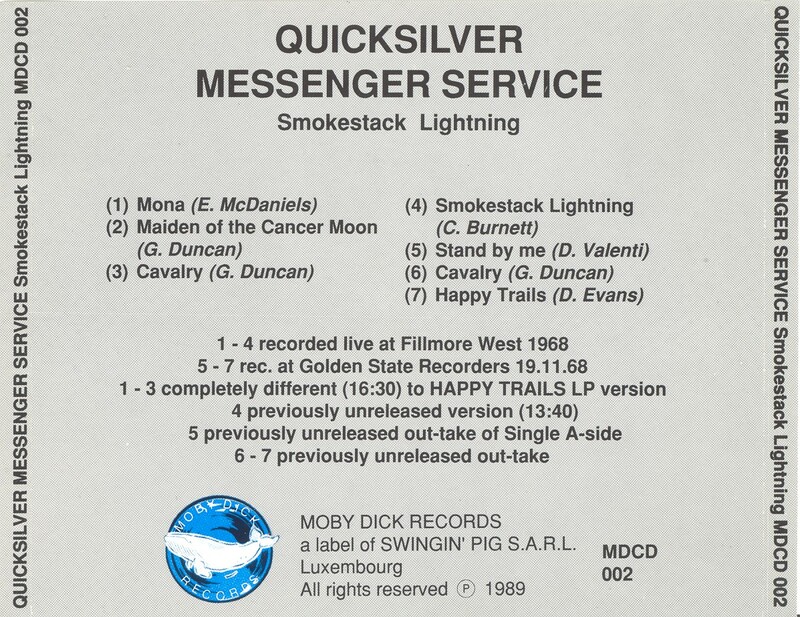 Although both are treated to the Quicksilver sound, only "Smokestack Lightning" really takes off, and even then it's only a pale shadow of what the number would become by mid-68. The remaining track, "(Acapulco) Gold and Silver," is the only original performed by the band on the Avalon tape. Co-written by Gary Duncan and QMS roadie Steve Schuster (with an unacknowledged nod to Dave Brubeck's jazz classic "Take Five") the instrumental became a cornerstone of the band's live act. From time to time, at gigs, Schuster would actually play sax on it, an addition that worked extremely well - better, in fact, than the ersatz funky sound the horns achieved on the album version of "Pride of Man." Next up is a selection of five tracks that undoubtedly feature Jim Murray (he sings on most of them), although, again, exactly when and where (or indeed, why) they were recorded is a small mystery. They are obviously studio cuts, but whether they constitute the last recordings the band made for Vanguard or demos they cut for Capitol prior to signing with that label is not known. Although three of these tracks (Mose Allison's "Your Time Will Come," Bo Diddley's "Who Do You Love?" 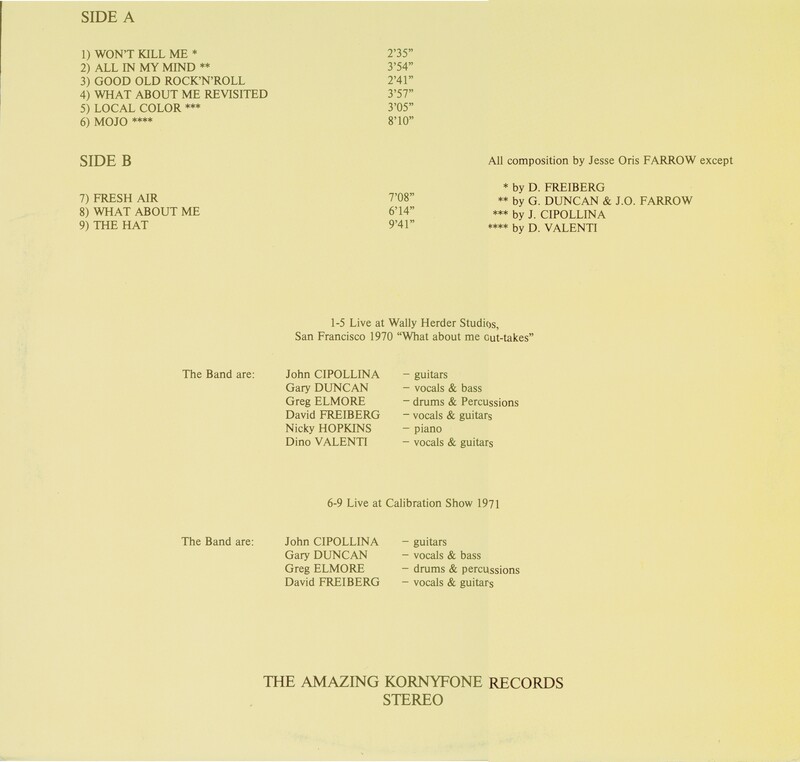 and Robert Johnson's "Walking Blues") were included on the recent official QMS CD, Lost Gold and Silver, the decision was made to include them here, since our tape source was obviously much closer to the original than Lost Gold and Silver, leading to vastly superior, if not actually perfect, sound quality. Though these tracks may lack the spark of live performance, they are of undoubted historical interest. 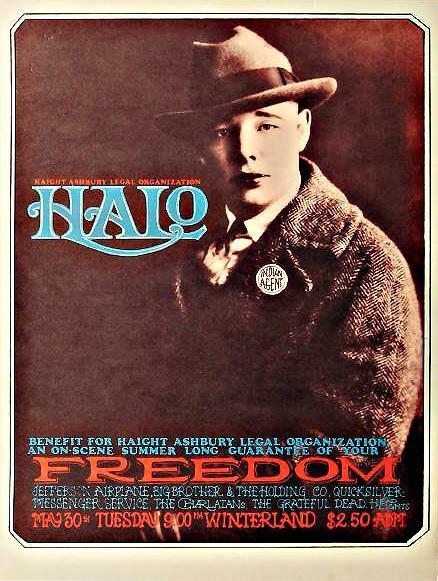 The demos are followed by four tracks culled from the band's March 19, 1967 show at San Francisco's tiny but important Matrix club - a date and venue that are probably correct. The tracks for their rarity, and, although the band may have performed all four at other times, these are the only known QMS versions of them, The first is bluesman Willie Cobbs' "You Don't Love Me," a song much better known in a variety of cover versions (John Mayall, Kaleidoscope, Al Kooper/Mike Bloomfield, ad The Allman Brothers) than in its original form. "You Don't Love Me" is followed by a version of "Duncan and Brady," a folk classic probably best known in the early 70's version by the New Riders. The third track is an instrumental of unknown title that is probably a group original. The fourth, "Dandelion," may also be an original, but it could just as easily be an obscure old blues number. The Matrix tape certainly includes Murray, as does the next song, another version of "Your Time Will Come," which comes from the band's set at the Monterey Festival, June '67. It's probably the best song they performed that day, in a show, that, in general, the band members usually choose to forget. They were so disenchanted with their performance, they refused to sign the relevant releases; a state of affairs that led to their absence from the Monterey Pop movie. The last actual song on CD 1 is another rare cover, version, "Mamma Keep Your Big Mouth Shut," written by Jimmy Duncan and Alan Klein, but most associated with The Pretty Things, who included it on their first album. 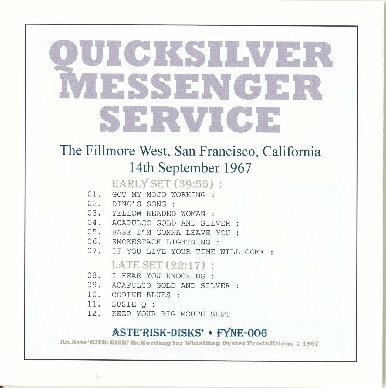 The remarkable thing about this version, taken from a September 14,1967 Fillmore Auditorium show, is that it doesn't sound like Quicksilver at all. But it is - really! All but one of the tracks on CD 2 are soundboard recordings from the band's golden era - the latter half of 1968. During that brief six- month spell, QMS were at their tightest and most innovative, able to carry off half-hour versions of 'Who Do You Love?" with ease. It quintessential San Francisco acid rock with added elements of traditional Spanish and Indian musics. Unlike many of their contemporaries, they actually managed to capture their sound on record. Happy Trails, their one album from this period, remains one of rock's finest moments. Most of Happy Trails was recorded live at both the west and east coast Fillmores, and although the resultant album features the cream of their live act, the fact that it was only a single album meant that some great material had to be overlooked. The first five tracks on CD 2 are selected from the unused cuts. The first actual song is a stunning version of "Babe I'm Gonna Leave You." More interesting, though, is the lengthy untitled instrumental (quite possibly an improvisation) that precedes and segues into the song. The whole piece comes from the evening of November 11, 1968, the first of a four-night stand at the Fillmore West that was recorded for the album. Tracks three through five come from the following night, and although all three numbers ("Mona", "Maiden of the Cancer Moon," and "Calvary") were used on Happy Trails, these are alternate versions. Most interesting is this version of "Calvary," the album version of which was the only studio cut on the album. Mention should be made of track eight on this CD. It, too, comes from one of the nights recorded for the Happy Trails album, although which night is not known. (In fact, it may well derive from one of the Fillmore East shows.) Clearly, this "Who Do You Love?" bears more than a passing resemblance to the one on the album. As far as I can tell, however, it's a complete unedited take, unlike the final album version, which was an amalgamation of several performances. The '68 live tracks are rounded out by three songs recorded on June 6th at the Fillmore East, namely the Duncan/Freiberg original, "Light Your Windows," "Dino's Song," and Willie Dixon's "Back Door Man." While these may be in-house recordings, the sound (not to mention the musical) quality is as good as the November cuts, thus inferring that they are official eight- (or even sixteen-) track recordings. It thus begs the question: Why were extracts from this show not issued at the time? We will probably never know. Less than two months after the November Fillmore West shows Gary Duncan quit the band and, along with Dino Valente, headed for New York in what proved to be a fruitless attempt to form a new band. 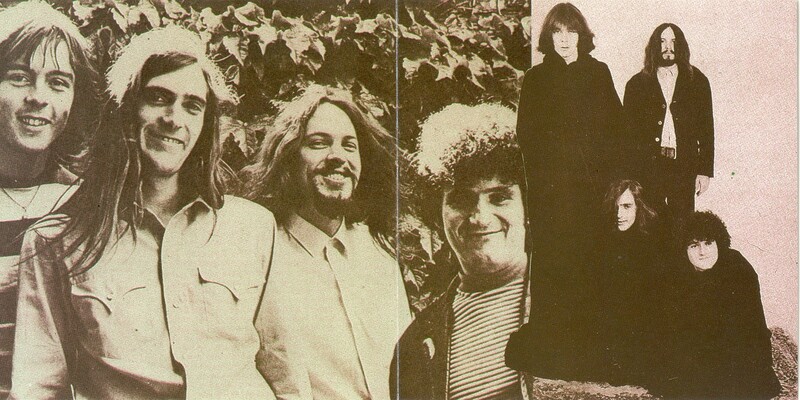 The remaining Quicksilver members languished throughout 1969, managing only one gig, although they did cut the rather lacklustre Shady Grove with new member, pianist Nicky Hopkins. At the end of the year, Duncan and Valente returned just in time for the New Year's show at Winterland. After much pleading, Duncan and Valente were allowed to rejoin the band for that gig, and a soundboard recording of it still exists. 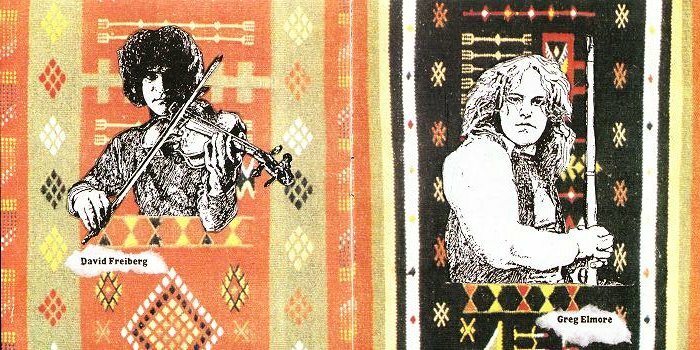 We have included one track, a stunning version of 'Edward The Mad Shirt Grinder' (the studio version is the one really good track on Shady Grove) that demonstrates, if nothing else, the excellent musical rapport between Cipollina and Hopkins. But for unknown reasons, Duncan is buried in the mix, and Valente may not be playing on this track at all. Duncan and Valente stayed on, and the band returned to a full gig schedule. 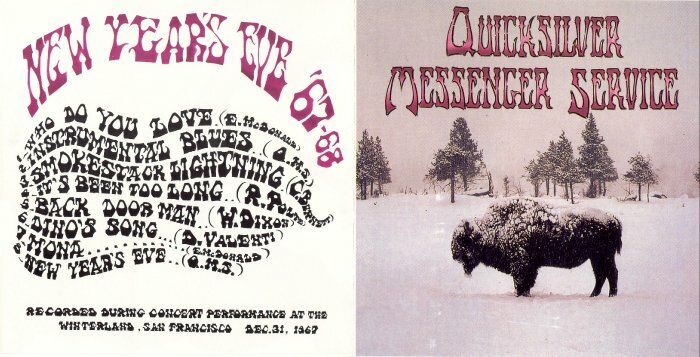 The new six-piece QMS may not have been quite as spectacular as the '68 band, but for a while (at least as long as they could keep Valente in check) they were still one of the finest groups in the country. First generation reel to reel (revox) > amplifiers > tascam audio cdrw750 > cd > computer > plex tool professional XL > wav > flac. No EQ was used this time, tape not needed any......just a raw recording like it originally was done. 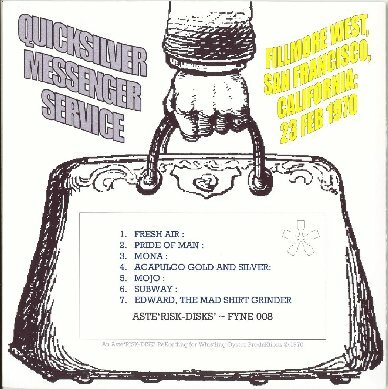 Howdy folks, Thought I would share this very hard to find QMS show. The sound is pretty poor, but it's the best circulating, which it barely is. In a day or two, I will upload the Dec. 30 1967 show too, so stay tuned! My endless thanks to Jjoops for sharing this one! amellowsoul Comments: As far as I am aware, the SHN version of this show never circulated according to Joe. Quite a few years ago, before I was able to SHN/FLAC, Joe was kind enough to send me an audio copy of this show. It was this audio copy is the one that I ran thru EAC and turned into FLAC. 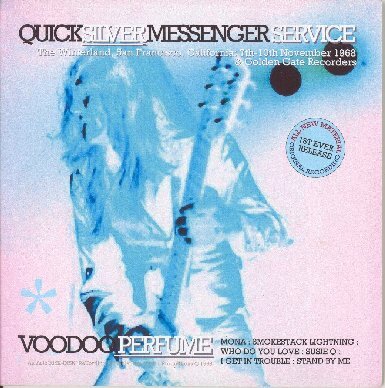 My many thanks to Joe for sharing this very rare QMS show. jjoops Comments: - This is not an excellent recording by any stretch. Apparently the stated lineage is better than what is generally available. While I trust the person from whom it came not to misrepresent the lineage, I can't be sure that this is correct, either. Just about every song clips in. The gaps and/or ticks at track markers are not sector boundary errors on the CDs, but seem to be from the source tapes. There are a fair number of ticks, clicks and static throughout the recording. It is not as bad as the night before from this source, but it's still there. In short, "caveat auditor". 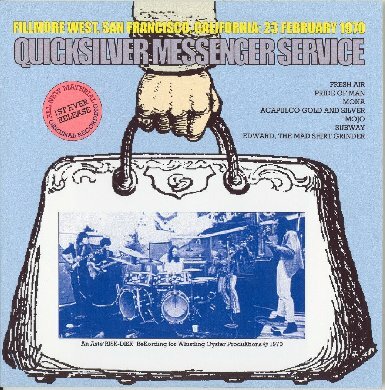 - Introduction, not by Bill Graham: "[inaudible] evening let's welcome Quicksilver Messenger Service." - End of show comments: "Thank you. Goodnight. Thank you. We'll see you tomorrow night. Be careful." * - With Steve Schuster on flute & sax! Tom Shyman: "A quite rough sounding show for sure, but it's rarity is worth it for collectors. Also, if you can get beyond the sound, there is some very cool surprises. First off, Steve Schuster (co-writer of 'Gold And Silver') plays sax and flute on an instrumental version 'Light Your Windows'. Also, 'The Fool' is played in a great very raga version. Smoke enough and maybe the rather poor sound will disappear." 1. This one has none of the ringing in the sound that's in the previous seed. 2. The previous seed had low levels in the left channel, this one has both channels with good levels. 3. The new seed is longer: 43:15 instead of 41:56, with the first song now complete. 4. This copy has better more precise lineage, being a transfer from a PCM Beta digital copy of John Cipollina's reel of this show. Though a bit hissy, I consider this to be a very good audience outdoor recording, especially for 1967. Check the sample with a similar section sample from the previous seed to get an idea of how this sounds. Hopefully the upgrade will be apparent even comparing mp3 samples, but either way, I am fairly certain that all will agree after download that this copy sounds better and not at all "icky" as the previous upload of this show was described as by the seeder. Some consider John Cipollina's reels to be masters but that cannot be certain in most cases. Since the previous info claimed that the master was "taped on 3 inch reels by a then young teenager, Tom O. ", Cipollina's reel might then be assumed by some to be a 1st gen. copy but of course that cannot be known for sure either. Nevertheless, this does sound like a low gen. copy. Lineage: AUD > ?? > John Cipollina's reel > PCM Beta tape > Pro Tools [minor "nip and tuck" edits, normalization & tracking] > AIFF files > xACT [Flac level 8 files with sector boundaries verified]. md5 file created with checkSUM+. 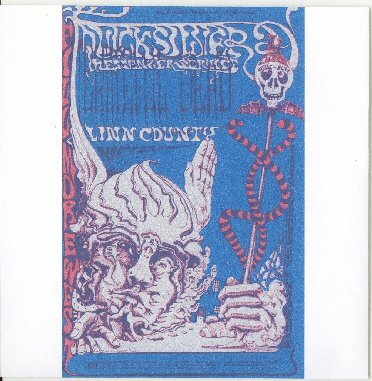 "This is a decent audience recording of the Quicksilver Messenger Service. It was rescued from a mislabelled 1986 cassette, transferred using a Nakamichi BX-300 variable speed tape deck into my PC via an M-Audio Audiophile 2496 sound card. From there I did some EQ and editing in Adobe Audition 1.5. For whatever reason, side 1 of the tape (tracks 1-6) was at the right speed but side 2 (tracks 7-11) was at least 6% fast. I slowed it on the Nak and left the speed alone in Audition." well, here is my version of this rather rare and not much circulated show. through my trading years, i had collected several versions of this show, plus the elusive final jam, featuring, among others, dino valenti. jorma kaukonen and janis joplin. what you have here, is the result of a long, painful work of cut, paste and restoration. i have used the best portions available of the various sources (7 in all). after that, i have done a restoration job using analog equalizer and cool edit. the result, to my ears, is satisfactory, but you'll be the judge. but what maters is music, and here you not only find the quick in great shape, but also, as i said, some precious bonus such as the vocals of dino on track 2 of the final jam, not to mention janis. i have attached here some sound samples. as usual, enjoy, share and preserve. This is a new transfer, IMO quite a bit better sounding than other versions now on Dime. I'm fairly sure the ? in the lineage above is the master tape (Uher reel? ), although there could be one more reel gen than is listed. The pitch correction was fairly radical, with the last 4 songs songs being a full semi-tone (6%) sharp compared to the first 7 songs. EQ was fairly mild, mostly volume adjustments to more closely balance the channels (although I'm pretty sure this was a mono tape to start with). "Two LPs on one CDR. Both are European LPs from the mid '80s." "Tracks 1-6 are from "First Album Demos," supposedly limited to 150 copies. There are many variations of first LP outtakes circulating but I think these are unique and not circulating at the moment. These are from an acetate and are different versions to the tape sources. The vocals are different and overall these sound wimpier to my ears. I believe this was recorded Jan. 1968 or thereabouts. I've included a portion of an interview with David Freiberg where he appears to be discussing this recording. He says it's the first version, which they rejected and redid. The acetate source is pretty crackly and several generations removed by the time it got pressed into this LP. 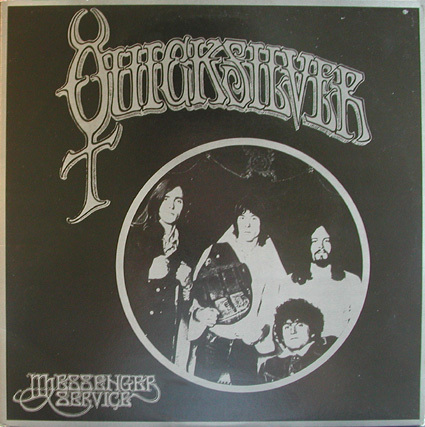 The LP also contains two live songs from Quicksilver's 1976 reunion tour which I've omitted." "Tracks 7-13 are from the LP "Live in San Jose California 1966." September seems to be added to the title as an afterthought. 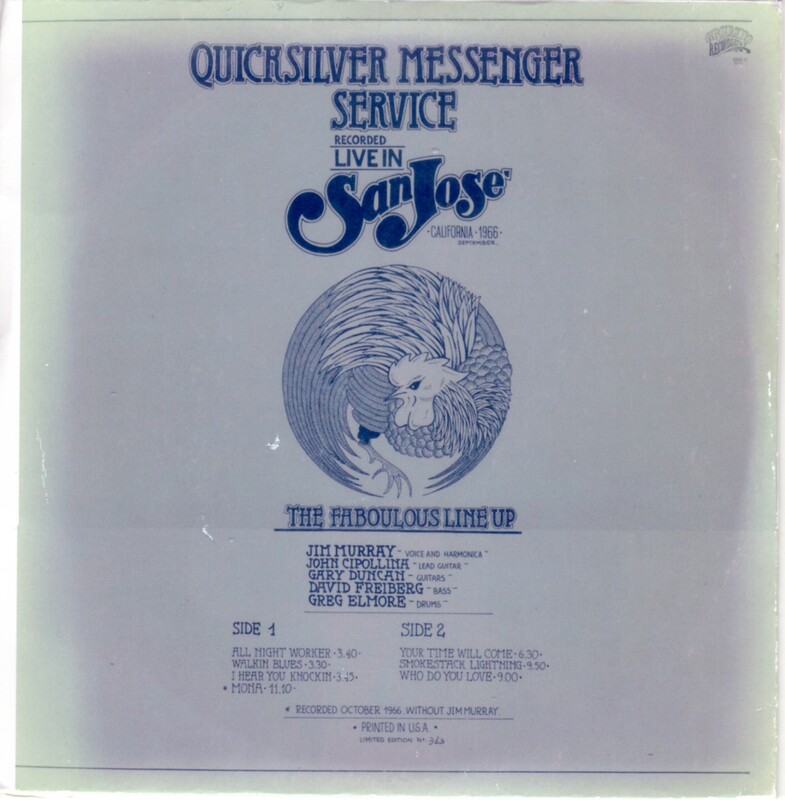 There doesn't seem to be any record of Quicksilver playing in San Jose in 1966, so I'm not sure of the exact date. It could be earlier than September, because they don't perform "Pride of Man" and other common songs, but the recording is incomplete so who knows. Jim Murray sings on more songs than usual too. Track 10 is specifically indicated as being October 1966, without Jim Murray, though he was still in the band at that time. These tracks are primitive soundboard recordings; the September tracks have the vocals too loud and the October track has them too quiet. This recording has been circulated over the years but I think the source has always been the LP. This is my attempt at a good transfer. Note that portions of this material circulate as a torrent dated 10/28/66 which I believe is incorrect; that torrent also includes material from other show(s)." This classic, but fairly hard to find recording goes under several different dates in 1968 and locations. Most dates seem to go in Feb. 1968, and I think that's probably a good spot for it. Locations vary from Carousel Ballroom to Matrix to somewhere in San Jose and "Murray's Last Show", of which I will explain below. The recording circulates with a "WDYL?" on track #2, and with it's indeed Jim Murray. However, ears show this be a completely different show. The sound quality on it is much better, and it's SBD, compared to the rest of the recording which appear to be AUD. The AUD? recording sounds the tracks are indeed from the same show with the quartet QMS. Also, Jim Murray was gone easily gone by 1968. So, I would guess is that someone down the line many years ago done this tracking order. In doing so, it probably is indeed a Feb. '68 show AND a track from Murray's last show, likely from mid-late '67. For Murray & "WDYL?" With that, I decided to move that "WDYL?" to the end of the CD now as the last track, #7. Maybe, and this is a big maybe, could the Feb. '68 material really be Carousel Ballroom, Feb 23, 1968 which is the only date I can conform by them outside the Quick & Dead tour of the Pacific NorthWest. We probably will never know. I have to say the sound quality isn't so great, but it's not so terrible if one thinks of the equipment tapers had back then! The origin of these recordings isn't known. It might be possible someone, somewhere, has a cleaner or less gen. version. of this or if you have the rest of "Murray's Last Show", then by all means, share it with the rest of us. Also, in you EQ this recording, I request that you please let me and the others know. For those that don't have this, you are in for a major treat. This is classic quartet blitzing away and blowing minds with some high class psychedelica, raunchy blues, and flower power pop. One of my all time favorate bands of all time in peak form! * This tape is circulating as April 1st or 6th 1968. Nobody really know if the performances broadcasted by KSAN were exactly the same of the Winterland show from April 6th. + possibly the Saxophone player on those 2 tracks is Steve Schuster. "A very nice mix right from the beginning. Light Your Windows has microphone problems in the beginning. The Fool cuts out the master tape right very near the end. My guess would be only about 15 seconds missing. Jam cuts in. * The sax & flute player in these is never introduced. However, the chances that it is Steve Schuster (friend of Gary's, co-writer of "Gold And Silver") are very high. ^ An unknown vocalist appears here and there on this jam, any help would be great!" 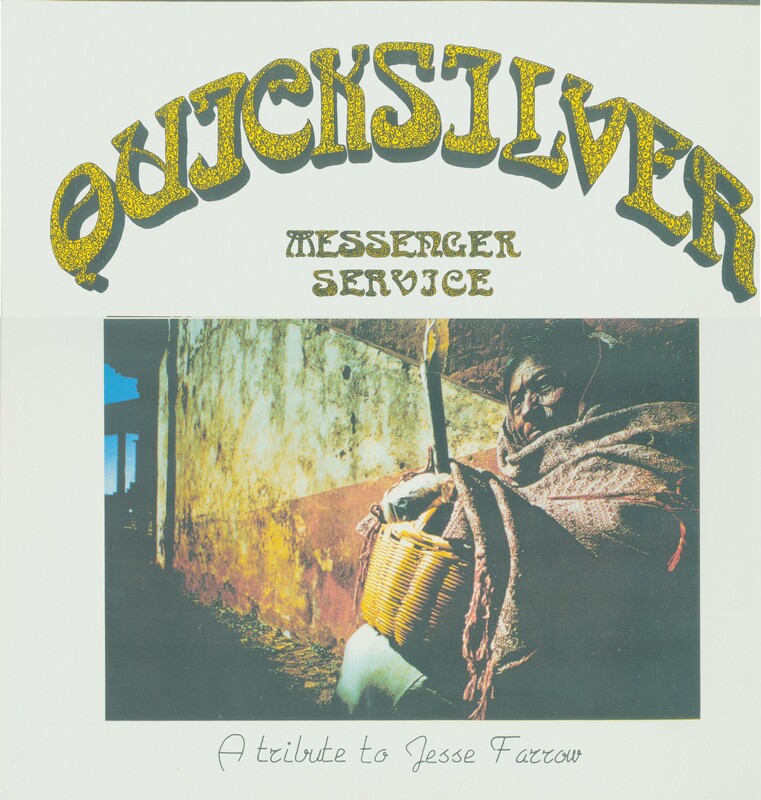 Notes: Quicksilver played two nights at the Fillmore East on June 7th and 8th of 1968, their first time playing in New York. Both nights Steppenwolf opened, Quicksilver played next, and Electric Flag headlined. Track times are as shown on CD cover, with actual track time, where different, in brackets. Times include between song chats. This is probably a version of the Fillmore East shows of June 7/8, which also appear on Lost Gold & Silver. Patrick has a page which discusses this in detail at Quicksilver Confusion. Dino's Song Outro: Thank you ... thank you ... that's Dino's Song, written by a fellow named Dino Valenti. 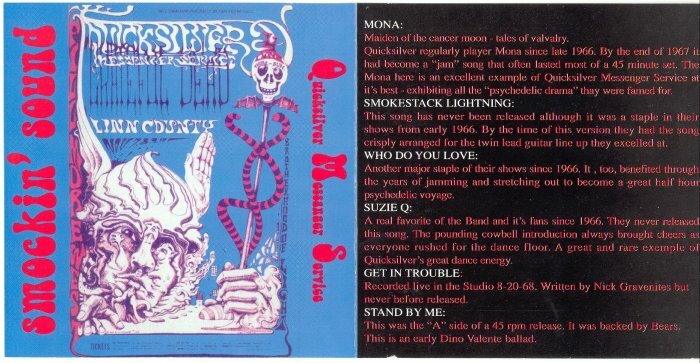 Who Do You Love / Mona Vocals drop off during "Come on take [a little walk with me]"
Smokestack Lightning Intro: Next tune's called Smokestack Lightning. It's primarily a dance tune, I dunno ... you can dance if you want to ... it's OK ... as long as you stay in your seat. Back Door Man Intro: (tuning) This is called Back Door Man it's a Howlin Wolf uh ... "
Signature in vocals: "... shhhhot full of holes"
Acapulco Gold and Silver Intro: Alright, change it all around, do something really different, a song called Acapulco Gold & Silver, on our album it just says Gold & Silver for some reason, I don't know why. Some hum, crackle, and volume variations early on. There is a drum solo. A1. Back Door Man 3:58? B1. Acapulco Gold and Silver 11:34? C1. Light Your Windows 3:01? D1. Who Do You Love 12:00? Thanks to the generous provider of this material! Maiden of the cancer moon - tales of valvalry. 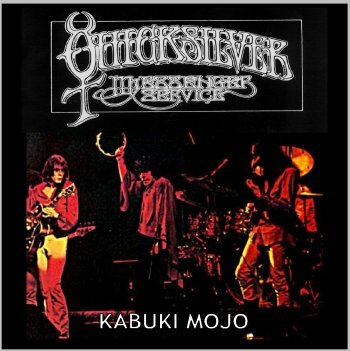 Quicksilver regularly player Moon since late 1966. By the end of 1967 it had become a "jam" song that often lasted most of a 45 minute set. 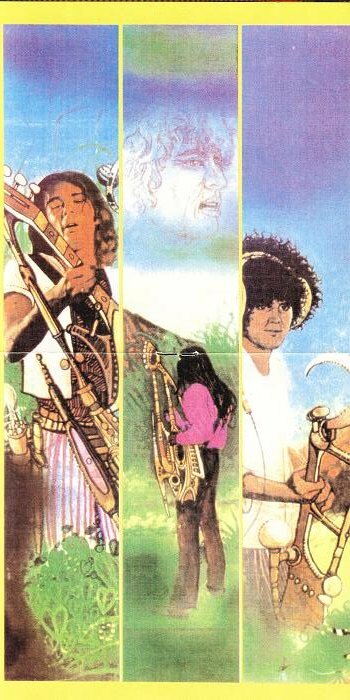 The Mona here is an excellent example of Quicksilver Messenger Service at it's best - exhibiting all the "psychedelic drama" they were famed for. This song has never been released although it was a staple in their shows from early 1966. By the time of this version they had the song crisply arranged for the twin lead guitar line-up they excelled at. Another major staple of their shows since 1966. 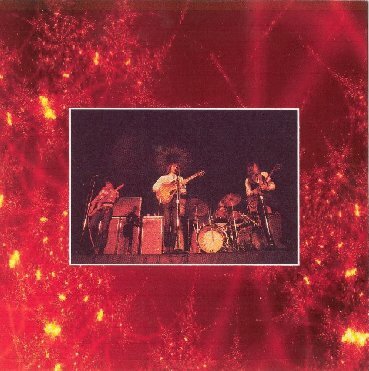 It, too, benefited through the years of jamming and stretching out to become a great half hour psychedelic voyage. A real favorite of the Band and it's fans since 1966. They never released this song. The pounding cowbell introduction always brought cheers as everyone rushed for the dance floor. A great and rare example of Quicksilver's great dance energy. Recorded live in the Studio 8-20-68. Written by Nick Gravenites but never before released. This was the "A" side of a 45 rpm release. It was backed by Bears. This is an early Dino Valenti ballad. 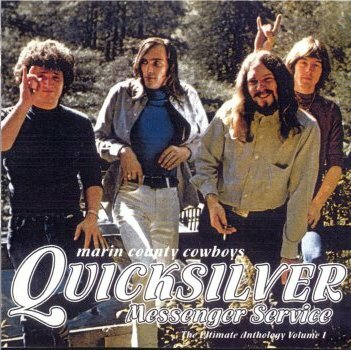 Tracks 1-2 from "Marin County Cowboys"
Tracks 7-8 from "Smokin' Sound"
The Quicksilver Messenger Service's Fillmore West concerts from November 7-10, 1968 are well known as parts of them were used for their masterpiece "Happy Trails". Parts of these shows are floating around on various bootlegs, but there is not one that is near complete. I just made a compilation from the various sources for a friend of mine and thought why not seed it here. Although this are all the tunes that are listed for Nov. 7th on www.setlist.com this is most probably still incomplete but as far as I know all that is circulating. NOTE: This is not a remaster of the recent upload but a rip from a cdr received in trade years ago - timings are different and those tracks might have different edits or different speeds than on those compilation bootlegs which were used to rebuild the show on the other torrent - some bootlegs name those November 1968 / November 7, 1968 / November 10, 1968.... setlist.com has the same tracks and list it as Nov. 7, same as the cdr I got... tracks are in 2 blocks 01-02-03 ..//.. 04-05-06... it seems that crossfades were used between the tracks inside each blocks. NB Officially released April 2009 on Snapper as "Castles in the Sand"
Come out and enjoy this little gem! This is early 1969, where Gary has gone for a year, to come back in 1970 with Dino. The band decided to try out Nick Gravenites. Life long friendships were made, but "Nick just didn't fit in for some reason" according Cipollina. A few months later, they got Nicky Hopkins and did the offical 'Shady Grove' album. Nick wasn't gone though. He produced it as well as wrote several lyrics for the songs! Notes: - It is assumed that Cipollina's reels are masters, but there might be subsequent reel generations. This material sounds very nice, and is a fun listen. - Cipollina's reels are believed to be masters, but this is not 100% certain, hence the question mark. There is some occasional crackling (e.g., d2t03), and a few ticks in d2t03, and levels could be a bit higher, but generally this stuff sounds very nice. - The material is really more "rehearsals" than outtakes, and it is both excellent (if you like "Edward", that is) and a lot of fun. I have just thrown together these track listings as a rough guide. None of these is a complete version of the tune, I don't think, but generally just practicing particular bits and pieces. - Note I accidentally gave track names with "1968" rather than 1969. I manually edited the wav md5s after the fact, and also the flac filenames. If there are any problems with wav md5 verification, that's probably why. - Cipollina's reels are believed to be masters, but this is not 100% certain, hence the question mark. This is a different session from the 4 cd's set from the July one. NB 'I Just Wanna Make Love To You' was also played in this set. This set was part of a long New Year's Eve concert put on at the Winterland from 8pm to 6am by Bill Graham. 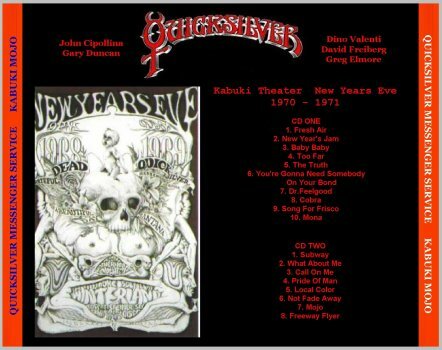 Performers were: Hot Tuna, The Sons (of Champlin), QMS, New Years Jam (members of many of the bands), Jefferson Airplane, The Sons, QMS, Jefferson Airplane. 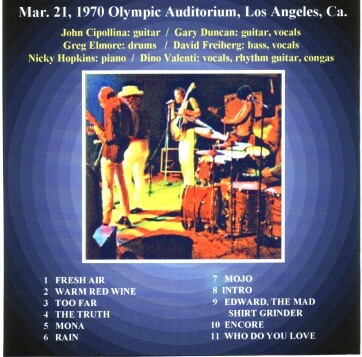 "Here we go again with the magical guitar of mr. John Cipollina... this show never circulated, it is a good audience recording, from one of my favorite QMS year 1970. I choose this in the middle of others because this is really worth the download. Even if the sound is not the best, the performance is great, is one of the few QMS shows from 1970 that does not start with fresh air and there is the Who Do You Love medley with Poor Boy, a song that qms performed only few times." MA? > ? > Cipollina's reel > C or R > unknown transfer setup > CD > Plexwriter PX-W4824A extraction (EAC v0.9 beta 4) > tracking (CD Wave v1.6) > slight editing (SF Studio 6.0) > sector boundary verification (shntool v1.01) > level 6 FLAC encoding (Flac Frontend v.1.7.1 etree edition). - This recording is oversaturated. You have been warned. But it's quite listenable, far from the worst QMS aud out there. No processing was done on the wav files except to remove a few obvious glitches and smooth a few harsh tape transitions. Some warts likely remain. 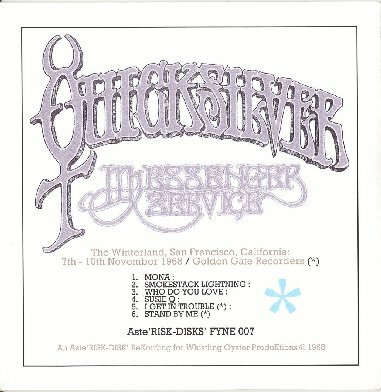 - (1) "From San Francisco, the sound that's gonna make the West wild, the Quicksilver Messenger Service." - (2) "Gary'd like to do a little tap dance for you folks." - t06 Fresh Air cuts out not far from the end. I applied a 0.25s fade to each side of the cut so it isn't quite so jarring. - t08 Mojo smoothed tape transition during applause after song. - Before Who Do You Love the tape quality changes. I am not sure if this is an alternate source or if the taper simply moved. - t13 The Truth fades out from source CDs. "Since the beginning there was an huge confusion about the date of this show, because part of this tape was circulating as February 6th, but with a wrong set list and wrong sequence, with a lot of drops between the songs. After many researches, i'm now pretty sure that the correct date is the 7th, day in which 2 shows took place. I finally found this reel to reel that i copied from John's vault, and i transfered it 2 days ago, and finally i can offer a remarkable upgrade of this audience recording, with the complete version of Edward, the correct sequence of the songs, no cuts, with the only exception of the usual tape problem (short drop) at a certain point of Fresh Air, that seems to be in the original version of this tape. Recording quality of the first show is a lot better than the one of the 2nd show." 1st generation reel to reel > revox > amplifiers > tascam audio cdrw750 > cd > computer > plex tool professional XL > wav > flac. Transfered, & uploaded by 38f on Dime, March 2007. "This is one of the worst quality QMS' tape in circulation, practically inaudible... well, I finally found my first generation reel to reel tape, courtesy of Mr. Cipollina (back in 1980), and, at least, this terrible quality audience tape, sounds definetely better, even if is it still far to be good... this version never circulated, so you can give it a shot after you have heard the sound sample... the sound is still very distant, there is some hiss, but finally the music is much brighter compared to the versions in circulation. Is it a shame to have this with such a poor sound quality, cause it was a fantastic show... but I know that you QMS' fans are starving for something new, so you'll enjoy it anyway..."
"Like good women, they just keep getting better all the time... the Quicksilver Messenger Service"
i saw a request for some more quicksilver and a great fall 66 show was put up by amellowsoul. 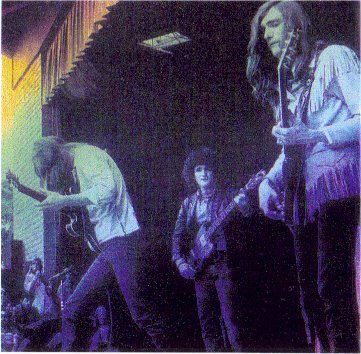 for my little contribution, i dug out the winterland feb. 23, 1970 show which is a great example of the 6 pc. lineup with dino valenti and nicky hopkins. apparently, most versions going around of this are mp3 sourced including a ban here recently. so here's what i came across. i have 2 different versions of this on 2 reels that are over 30 years old. one was clean and full sounding but was missing a track. the other version wasn't quite as clean but included that track although that reel has suffered over time. i used my first version and filled in the missing track which was fortunately still ok on that copy. according to most listings, the missing track usually is the 2nd song of the set. on my first copy, there was no break or splice so i decided to add it on the end on this offer. you can place it where you want but rest assured you are getting as complete a version as there is. all info is in the file. Version received on CD-R in 2004. Originally produced in a 30-copy edition, with printed CD face, by Harold 'The Mercury Kid' Smith: "Supposedly from a band tape, but excellent sound quality whatever it's origins. I think it has the best (overall - sound quality, performance, balance, no glaring mistakes, etc) versions of David's wonderful song 'Too Far' and the unreleased songs 'Rain' and 'Warm Red Wine'." Version posted via DimeADozen, August 2010. Transfer [2010-08-11]: Nakamichi Dragon (Dolby B decoded) > Macintosh with Digidesign Audiomedia III card > Pro Tools (minor "nip & tuck" edits, normalization & tracking) > AIFF > xACT (FLAC level 8 files with sector boundaries verified). No equalization or DNR. This is from the same original source recording as the version circulated on CD-R in 2004. 1. This one runs at the correct speed, while the previous runs too fast. 2. This one still is better sound quality when the speed on the previous is adjusted to the correct pitch. 3. This version is almost 20 minutes longer: 90:34 instead of 71:19, with one more song ("Subway") and the full 25 minute "Who Do You Love?" that was cut at 14 minutes into the previous version. The only breaks in this show now are at the very beginning of Mona and during the applause between "Rain" and "Mojo". Very decent sounding audience recording with nice balanced mix - I wouldn't quite call it "excellent sound quality" as the previous version was described. And if anyone has an even better sounding copy of this show - please share it! 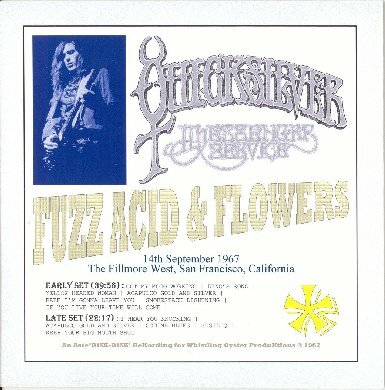 Absolutely one of the best 1970 shows, and on this new source, besides "Subway" that it was cut in 2 parts even on John's master tape, cause there were some recordings problems that day (they had some electricity problems, you can hear that during the show, sometimes the mics & guitars's plugs make a funny noise), the sound quality is really, really good. numerous small drop-outs in the left channel have been repaired by patching in from the right channel. A BIG BIG thanks to Bill for the discs. I don't have any information about the source, but sound quality is very good and it could be a soundboard (but I can't be sure). Basically those are the rehearsals for Cobra and Won't Kill Me. Spectacular soundboard studio recording never circulated before straight from a John's master that was given to me by him as a gift for my birthday. A copy of this tape was sent by me to SK some years ago, so it was a first generation tape, now i decided to share this master, cause it does not make any sense that other friends like all of you are cannot listen to this beauty. Obviously, being this tape a rehearsal , most of the songs are not complete and some drops are present sometimes.... you know the deal and enjoy it ! Master reel to reel > behringer ultra curve pro deq 2496 equalizer > tascam cdrw750 > plex tool professional XL > wav > flac. Transfered & Uploaded by 38f on dime on December 26th 2005. "Fresh Air has level fluctuations and extreme mixing going on for the first few minutes as the recorder set up. Once done, the recording mix and levels are excellent. There are a few small warts that are on the master tape, but it is nothing serious at all." 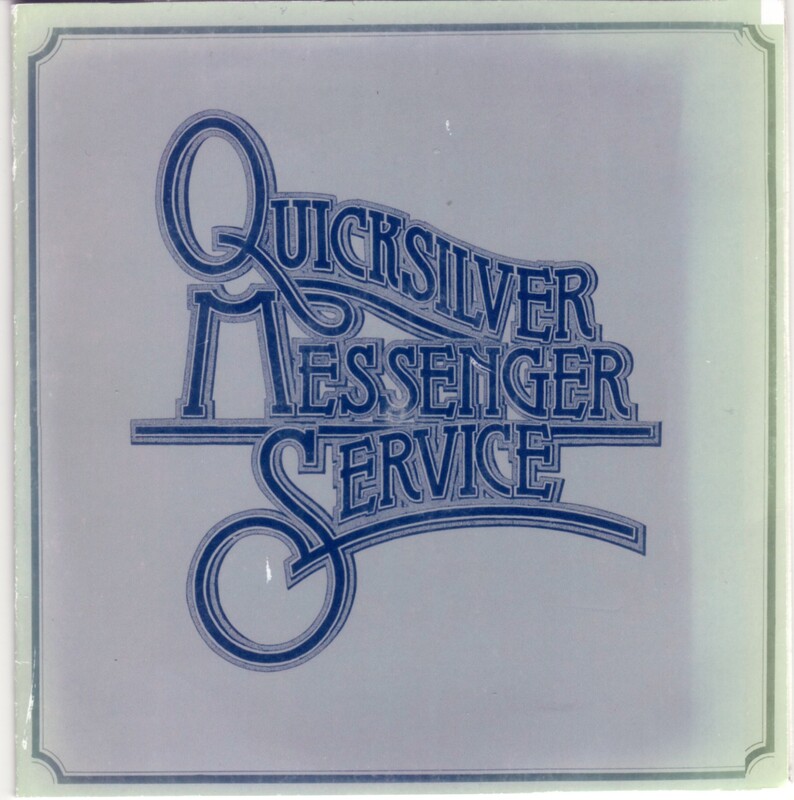 (1) "If you had to wait forever, it would be worth it for Quicksilver Messenger Service." (2) "Turn it up turn it up thank you whenever anyone's singing turn it up" audience screams "Here's one you'll remember." (3) "This is a song on our next album, it's a kinda loose you know, it's called The Hat. Hope you like it." From my point of view this is a really nice show from the 1970 Valenti era. This is the show for which Silver Metre opened (I uploaded their show last week). I used no dolby or noise reduction, when I transferred it, so you have some background noise, but on the other side the sound quality is more clear and brilliant. MA? > ? > Cipollina's reel > C or R > unknown transfer setup > CD > Plexwriter PX-W4824A extraction (EAC v0.9 beta 4) > tracking (CD Wave v1.6) > sector boundary verification (shntool v1.01) > level 6 FLAC encoding (Flac Frontend v.1.7.1 etree edition). - This is a phenomenal audience recording for the period, and the show is quite a strong one. 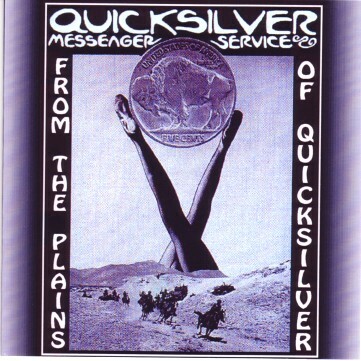 - (1) "If you had to wait forever, it would be worth it for Quicksilver Messenger Service." - (2) "Here's one you'll remember." - d1t07 The Truth clips in with very little missing. - d2t02 Pride of Man had a slight digi-tick @ 0:30 which was removed using SoundForge Studio 6.0. No other editing was performed. - d2t07 Who Do You Love is hissier than the rest of the recording, sounds like at least one additional analog generation. NB The above (left column) timings are song timings, not CD track timings. Mastering: None except indexing of tracks. Some years ago i received a box of master reels to transfer, all recorded in the S.F. area in 1969 and 1970, and including a variety of artists. I think most of these are in circulation, how widely i don't know. They were all recorded by the same taper, and these were the original reels. This recording occupied two sides of a single reel tape, with the side change occurring in the middle of "Mojo." Rather than split the song across two CDs, i moved the disc break back to the tape cut that occurs between "Pride of Man" and "Mona." While very good audio quality overall, the first part of this recording has very low vocals, virtually inaudible in most places. This must just have been due to unfortunate positioning of the taper. Guitar and keyboards are strong and clear, but everything else is buried. It's interesting to hear what amount to instrumental versions of the songs during this first half, but it's a shame that the vocals are inaudible. Just after the start of "Pride of Man, the vocals come forward, although still not really strong, and stay that way for most of the remainder. I guess the taper changed position at that point. This is yet another recording where the venue and date are uncertain. 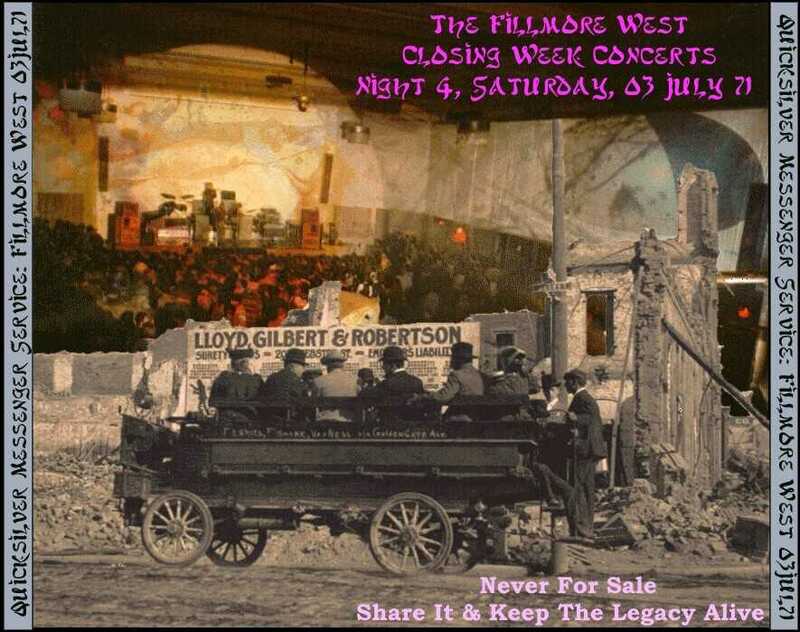 It's probably one of the Fillmore West dates from the summer of 1970. The band played there 18-21 June, 09-12 July, and 17-20 September. An earlier date in February has been torrented, so it's not that one. A recording attributed to the Fillmore West on 10 July 1970 is listed on etree, with a very similar song selection. But the run of shows a few weeks earlier seems equally likely for this tape. I can't really find any reason to prefer one of these runs over the others, so i'm calling this June-September 1970. Any of these dates would make this the latest dated recording in this batch of tapes so far; the previous latest recordings are from May 1970. As usual, additional facts or speculations are always welcome! 4. What About Me - "let's do one" "tape's rolling"
Complete tape, Soundboard, uncirculated in this form. First generation reel to reel (revox) > behringer ultra curve pro deq 2496 audio equalizer > amplifiers > tascam audio cdrw750 > cd > computer > plex tool professional XL > wav > flac. Various bits and pieces of What About Me, some with acoustic portions (e.g., track 1), some with reverb (track 2), some a little longer and jammed out (track 9, very nice! ), some pretty complete with vocals (tracks 11-12). Soundboard (Engineer: Dan Healy) > ? > CD > Plexwriter PX-W4824A extraction (EAC v0.9 beta 4) > sector boundary verification (shntool v1.01) > level 8 FLAC encoding (Flac Frontend v1.7.1 etree edition). EAC >> FLAC by jjoops. Notes: - Nice sounding and very interesting material! San Francisco, 1970 "What About Me out-takes"
"This (Calibration Show 1971) is really 8/30/70. Cip's last show (til those two in '75) was 12/31/70. "Calibration" was a local San Francisco TV show. The Grateful Dead also played on this date. The G.D. video footage was very rare for many years until last year when a vastly improved version appeared on the torrent sites (incl. here at Dime) recently." "Sound quality is ok, good audience, but there is one of the best version of Who Do You Love I heard in my life. Pure jam 35 minutes long! The performance is outstanding, Valenti's vocals & Cipollina's guitar at their best. A must. " Family Dog at the Beach, San Francisco, California, August 1st 1970, new source from reel to reel ! 1st generation reel to reel > behringer ultra curve pro deq 2496 audio equalizer > tascam audio cdrw750 > plex tool professional XL > wav > flac. Transfered, remastered and uploaded by 38f on Dime on march 14th 2006. Ok two words about this fantastic show. This is one of the best QMS audience recordings in circulation, it sounds often like a soundboard... I finally locate my 1st generation reel to reel of this show, and it sounds slightly better of the copies in circulation, and finally it has not all the drops and glitches in Who do you love, often noticed on other tapes of this show, just 2-3 really light, as it is indicated in the text file). The version of Who do you love is one of the best ever heard, 35 minutes long !!!!!!!! - The only edits undertaken were to smooth a few tape transitions. IMO this is a significant sound quality upgrade over the previously circulating multigen composite. There are still plenty of warts, but most of them seem to do with mix and PA problems at the show rather than with the recording. Disc 2 is in circulation without disc 1. I received this CD-R in a trade and don't even know who I got it from and when. The only confirmed information are the venue and the date on the CD-R. So I tried to find out the titles, which wasn't difficult in most cases. But track 02 was quite a challenge. I tried to find a familiar title to the text on Michael J. Cross' site, but I had no success. Just from listening I am sure the title is "Walk On The Line", because it's the most repeated line in the text. Perhaps it was the only time they played it. Just before the song you can hear "Hey, listen, here's a brand new song, that we've never played in front of anybody before." With track 04 I am not quite sure as well. There's also no line-up. John Cipollina and Nicky Hopkins left AFAIK middle of 1970, but in an interview John said, that he couldn't refuse playing also in a few concerts after that. I believe that John does play here, but sometimes I am in doubt. If you can assure me, go ahead. The lineage is not clear as well. It sounds like a SBD or a very good audience. After some googling I found only one reference to this concert on a CD-R trading page. Just from QMS saying that they didn't have much more time to play, or before the last song they said they had only three minutes more left, I guessed that they had played together with other bands. And indeed, they had. I found 2 references for this date. Mike Bloomfield (there is an existing SBD recording) opened for Fleetwood Mac (there's also an existing SBD recording). Because the recording on the CD-R was not properly tracked, I retracked it with Adobe Audition 2 and encoded it to flac. So that's all I could find out about this concert. Maybe someone can help with further information. Okay, found out something more. Sometimes it's better to "dime" than to google. On the dime page of new, removed and banned torrents I found out that the Fleetwood Mac torrent is still running. And in the comment section there is a poster of the show, which I will include in the torrent. Also the Mike Bloomfield was seeded here before, but it is now removed and it was seeded with the wrong date (1971-03-24), by the way the date the Fleetwood Mac show was also traded before. Well, I got this message a few hours ago as a PM and asked the writer to post it in the comment section, because I believe it is interesting enough for every leecher. As he or she hasn't done so yet I post it here. And the writer also states - in contradiction to screwball - that JC was present. I was at the Quicksilver Swing Aud. concert. Quicksilver opened up for Fleetwood Mac. It was a strange and sad night for both bands. Quicksilver was terrible. John played guitar, but he was totally dominated by Dino Valente, who even cut him off during a couple of solos. Everyone and I mean everyone was booing Dino Valente. This was not the Quicksilver we all knew and loved. It reached the point that Dino yelled to the Crowd: "Well if you don't dig it..." and then looked out at the crowd and caught himself, but the set was over soon after. Then Fleetwood Mac hit the stage, and they were on the verge of breaking up. All I can remember is Mick Fleetwood frantically banging the drums with this wide-eyed look of desperation on his face. My friend Piotr, who introduced me the the early Fleetwood Mac at the Whiskey a Go Go, swears that Peter Green filled in that night, quietly playing guitar in the background. Thank you for sharing the music, but I personally am going to pass on listening to that whiny Dino Valente wail of a voice. God was he awful. Fortunately, I got to see John play again (and meet him) 12 years later with the Dinosaurs at Wolfgang's in San Francisco (9-24-83) Does anyone have that show? John was so good that night. Anyway, that's what I remember. Rock on. This could be July 4th or April 7th. However, neither date appears in Marc Skobac's Quicksilver Concert Timeline. Maybe these are tracks from the July 3 Fillmore Closing show. Picture discs, apparently issued in clear sleeve? /from 2 different FM off air master reels > CDr. "Come On Along" is actually "Too Far"
"[A previous version of] This torrent was banned from Dimeadozen on April 3, 2006 for 'lossy ancestry'. I honestly don't know how this could happen and it's still a mystery for me. Anyway, I tried hard to get the original tape back. As soon as I got it, I redigitised the whole tape and sent track 01 to the dimeadozen mods for checking (thanks phantom51 and phenix059). They found it 'perfectly safe' and gave me the green light for reuploading it." "I'd like to excuse myself for distributing lossy material to the 120+ people who snatched it. I'll do it in not only uploading a "safe" (corrected) version but including original studio commentaries and sounds to some of the tracks. This small extra may be worth for the aficionados to download it again and accept my excuses." "This is one of the rarest QMS' tapes... John gave to me his master reel back in the 80's, that contains this short one and some Raven material (i'll upload that too), as birthday present... the unbelivable instrumental version of They Don't Know worth this download, with the version of Unvicious Circle that i never found played by the QMS in any other reel. Since all of you are starving for Cipo's maestro guitar style, here you can own something really unique ! I never traded these stuffs before... so please DO NOT SELL IT OR DO ANY OTHER BAD THING WITH IT..."
Transfered & uploaded by 38f on Dime, January 2007. Decent audience, not too bad, i heard worst. 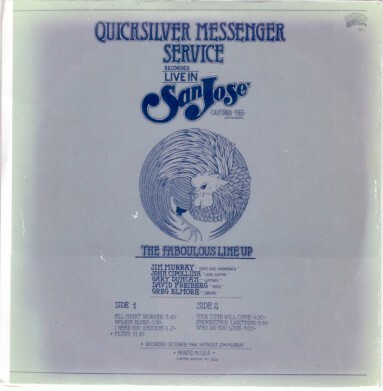 This is a pretty fair audience recording from December 22, 1975 with Quicksilver playing Austin, Texas for their Solid Silver Reunion tour. There is another version of this show in limited circulation which in my ears is not as good and suffered a pretty chaotic transfer process to CDR. I transferred this show myself from tape to the PC. A screenshot of the frequency analysis has been added to the flac files (no sudden decline after the 15 khz line is apparent). 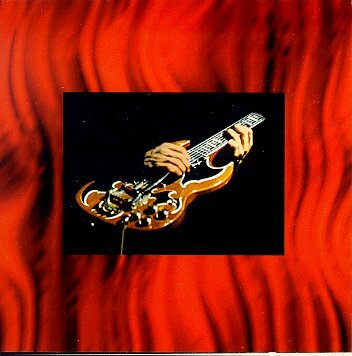 Enjoy this gem from the very last days of the QMS with John Cipollina! Straight from John Cipollina's master." "This is a show that Fabio uploaded as an incomplete soundboard (some songs in fragments and only half the show) last year on dimeadozen. He announced to upload the audience recording of the complete show at a later date. Today, I'll help him out doin' the job with my copy of the show. If you have collected the "S.I.R. Studio Outtakes" you might wish to listen to QMS' subsequent performance on the 75 reunion tour. Here you'll find an excellent example for that. 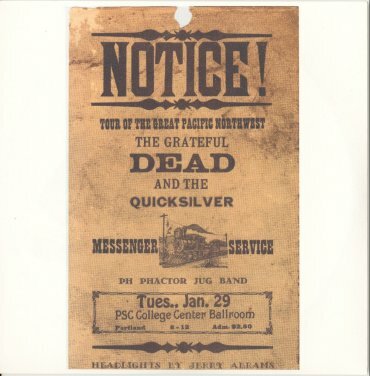 Surely, one of the highlights of their '75 "Solid Silver" tour was the show given on December 28, 1975 in the Winterland arena. QMS went on stage with John Cipollina, Gary Duncan, Greg Elmore, Michael Lewis, Skip Olson and Dino Valenti. On this audience recording they sound relaxed and not at all like being on the edge of splitting once again. I like the way they boogy the "Worryin Shoes", the drive Greg produced on several tracks, the magic John and Gary developped throughout the show and the smoothness Dino applied to "Baby, Baby", "Cowboy on the run" and "What about me". Michael and Skip added a lot of power to the groups stunning performance that special evening. Nevertheless, I still prefer their show at "My Father's Place" in New York (same year, same month) to this one. But Winterland lasts longer (almost 90 min.) and the recording is in a better shape."